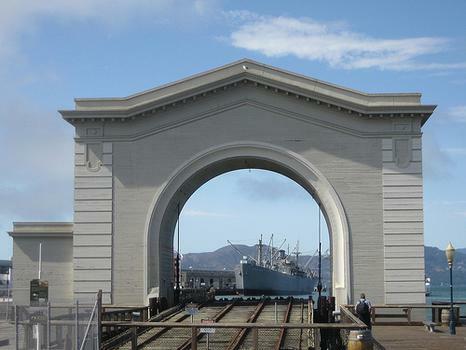 Located behind the Pampanito submarine is this WWII Liberty Ship open for tours. Located behind the Pampanito submarine is this WWII Liberty Ship open for tours. The SS Jeremiah O'Brien is the sole survivor of the armada of Allied ships which was involved in D-Day, and one of only two remaining WWII Liberty Ships surviving today.